Quest Software has confirmed rumors that Dell won a bidding war to purchase the company. Dell ended up paying $2.4 billion for Quest. That's a lot of money—more than 55 times Quest's earnings for the last 12 months. The big question here is: Is this a good deal for Dell and its newly acquired customers? This latest acquisition could be a nice feather in Dell's cap, as Quest claims more than 100,000 customers, and its revenue and profit figures are healthy according to its most recent financial statement. 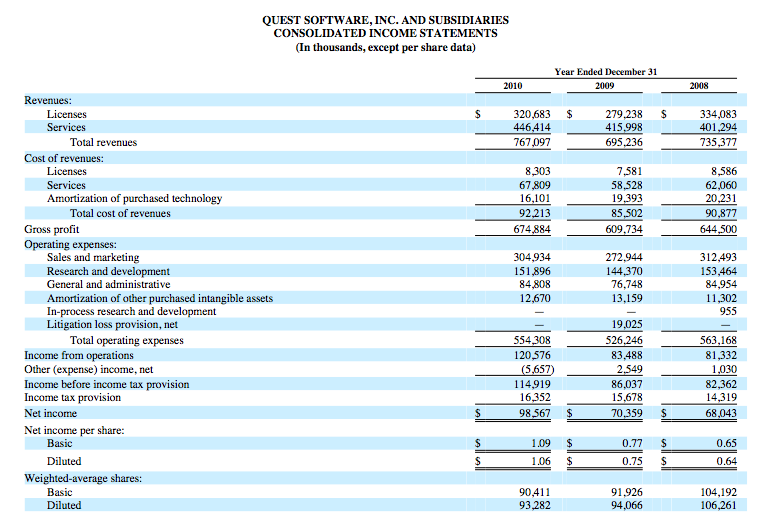 More importantly, Quest offers Dell a strong opportunity to bolster its software and services offerings and complements Dell's $3.9 billion merger with Perot Systems in 2009. Dell is clearly chasing the strategy of IBM and HP. Quest's brand of APM rose to prominence in the 1980s and 1990s when IT environments were relatively static. At that time, it made sense to use a bottom-up approach to APM, which assumes that if every single element and device is monitored independently, then the entire environment is monitored. This approach—never a good idea to begin with—is less and less tenable due to the increasingly complex and dynamic nature of today's applications. 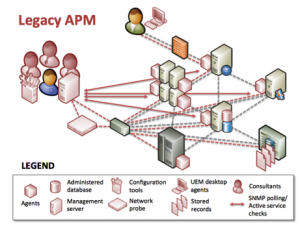 These legacy APM vendors have little to gain and much to lose if they re-architect their solutions. If their products automatically discovered and classified devices and applications and adapted to dynamic environments, they would make less money from implementation and maintenance services. If legacy APM tools empowered IT organizations to easily define new performance analysis, vendors like Quest would make less money from configuration services. IBM, HP, and CA have not set a good track record when it comes to continuing product innovation after acquiring popular technologies. If Dell re-architects Quest Foglight to eliminate complexity, that would certainly set a good precedent. Besides adding significant management costs, a bottom-up approach to APM results in a flood of irrelevant performance data that actually hinders problem resolution. That's the conclusion of a new APM survey from TRAC Research, "Improving the Usability of APM Data: Essential Capabilities and Benefits." The survey of more than 400 IT organizations found that 61 percent of respondents had a success rate of less than half when trying to prevent application performance issues from impacting end-users, and 46.2 hours are spent each month in "war-room" sessions trying to figure out what went wrong after an application crisis occurred. What legacy APM vendors are hesitant to offer, and what businesses need, is a top-down approach that simplifies APM to reduce cost and speed resolution of problems. That is exactly what the ExtraHop network-based application performance monitoring solution offers. 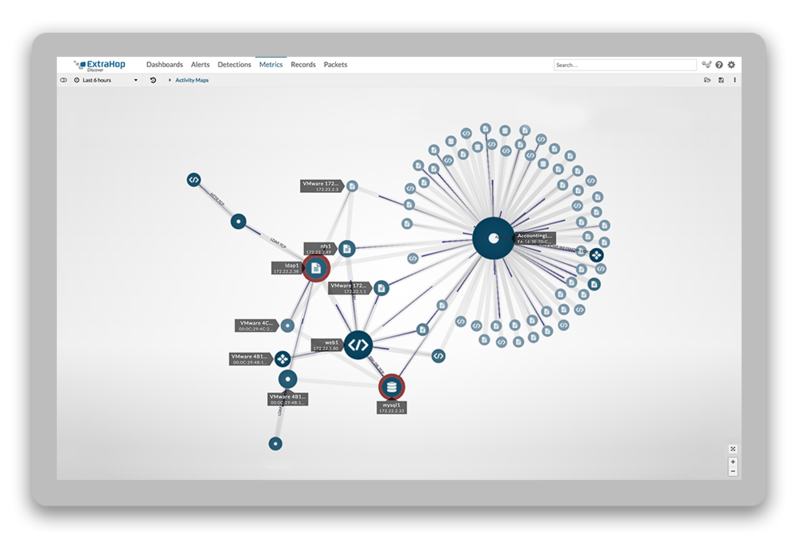 The ExtraHop system does not add any additional complexity to the environment but instead passively analyzes the communications flowing among application components and extracts valuable health and performance metrics in real time. The ExtraHop system also deploys in just 15 minutes and automatically discovers and classifies devices and applications on the network with no manual configuration or tagging required. With the ExtraHop system, IT organizations get a continuously updated top-down view across the network, VDI, web, database, and storage tiers without having to install invasive host-based instrumentation on various components. This non-intrusive approach is perfect for IT Operations teams who must manage the performance of numerous applications in constantly changing and massively scalable environments. In the case of Concur Technologies, for instance, the ExtraHop system was the only APM product capable of monitoring more than two billion SQL queries and 500 million memcache hits each day. This brings us back to the value of Quest Software. For Dell, which is looking to expand its software and services division, the company might be worth $2.4 billion. But companies looking for an APM solution would be better served with a modern approach that is not reliant on vendor-provided IT services. Want to learn more? Get in touch.